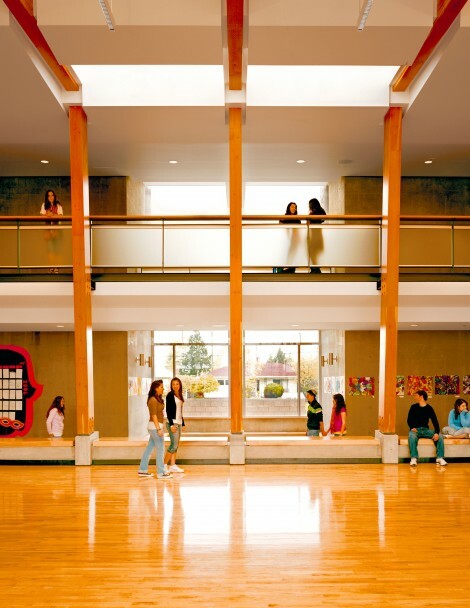 Completed in 2005, the 9,500 square metre King David High School is an independent Jewish school that fuses the traditions of Judaism with the provincial educational curriculum. 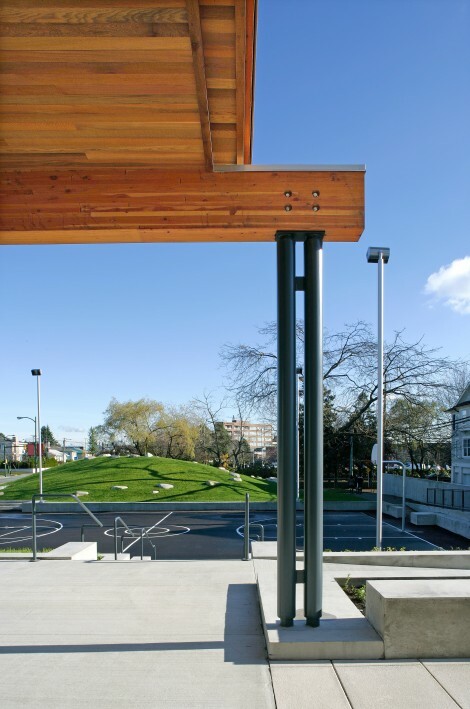 The long, linear form and massing creates a strong streetwall edge along a busy thoroughfare that runs through the Oakridge neighbourhood of Vancouver. 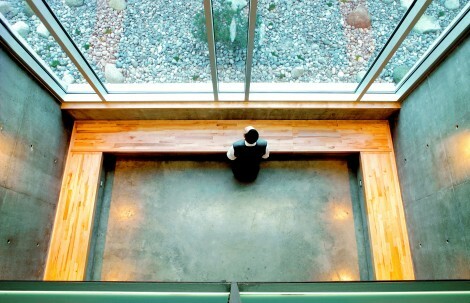 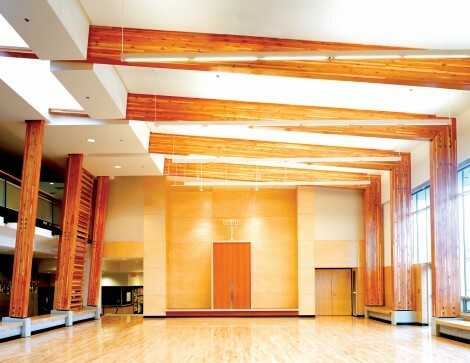 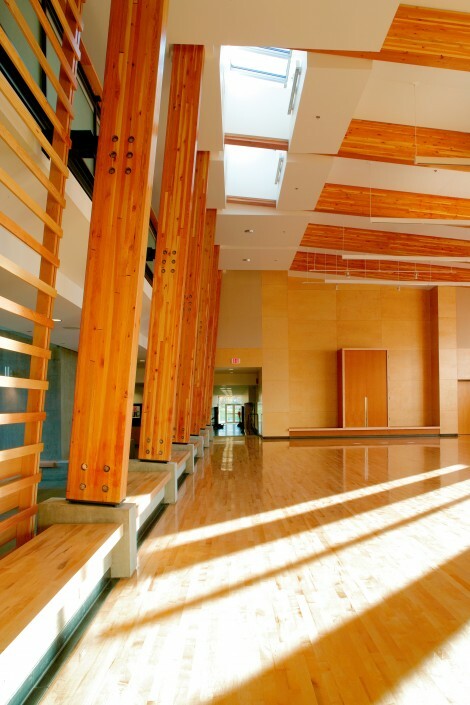 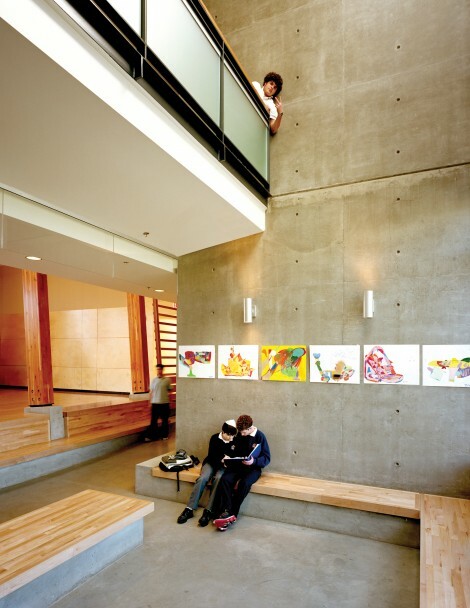 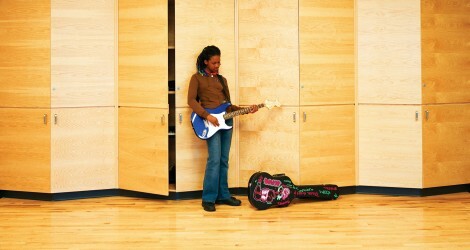 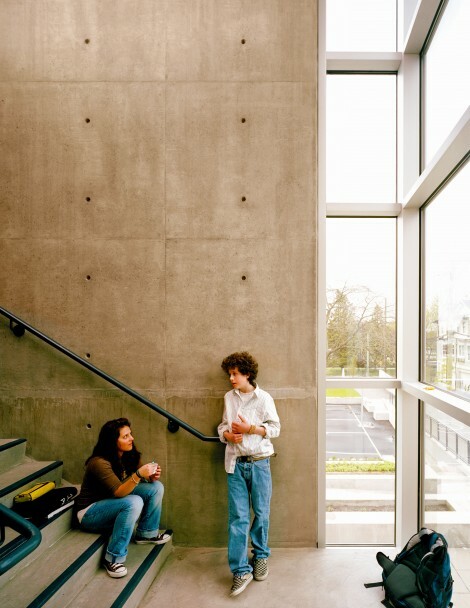 The heart of the building is a multipurpose space that serves as sanctuary, assembly hall and student lounge. 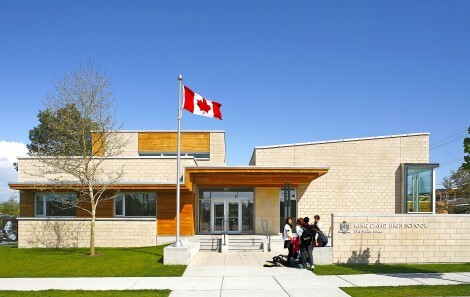 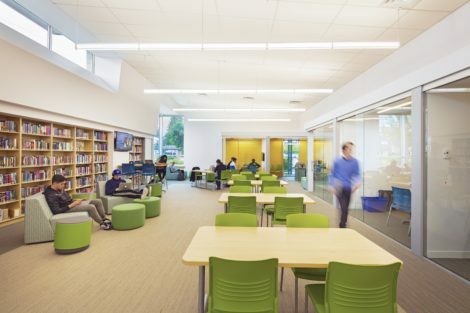 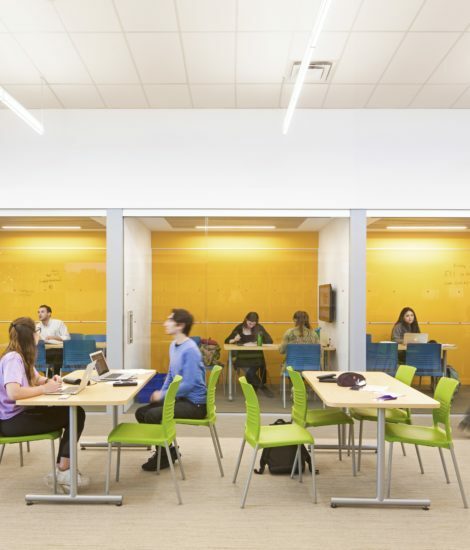 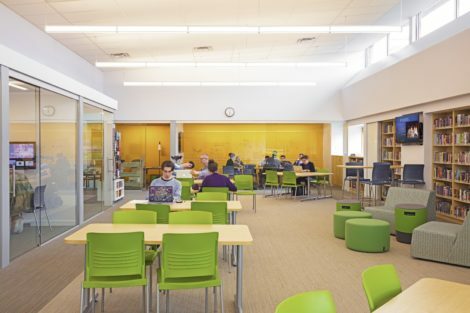 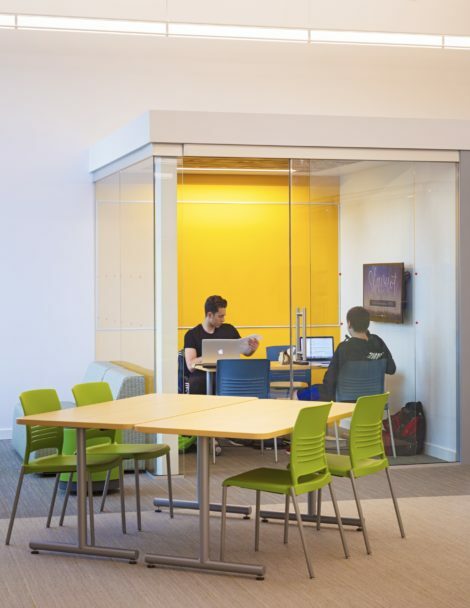 In 2017, the former library was transformed into a bright, light-filled 21st century learning commons with social and study spaces to support core skill competencies such as collaboration, digital literacy, critical thinking, and problem-solving skills to help students thrive in today’s world. 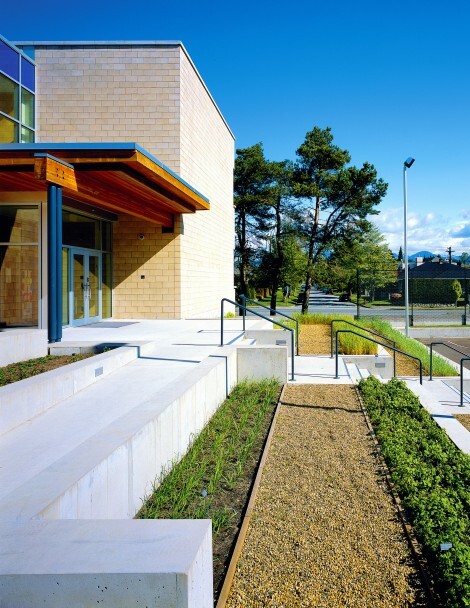 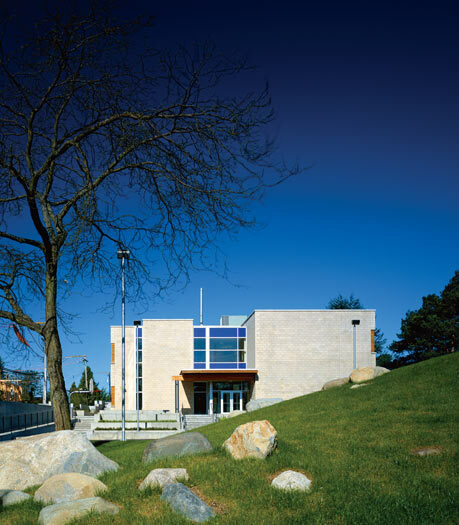 Construction materials are spare and durable and convey a sense of permanence: poured-in-place concrete, integrally coloured concrete block, Jerusalem stone, and glulam columns and beams.